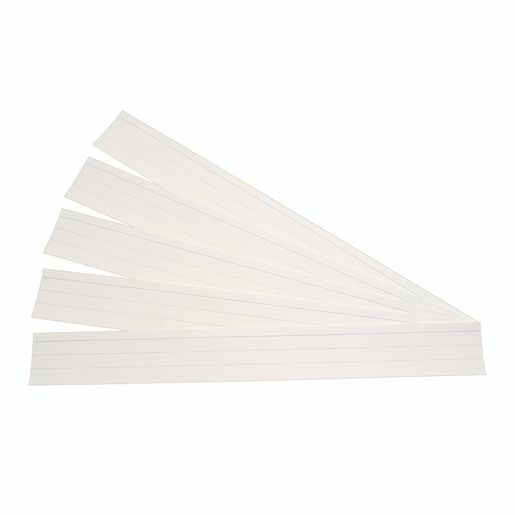 Sentence strips offer a reliable and popular teaching aid for cursive and manuscript writing. These handy, multipurpose sentence strips will find a variety of uses in your classroom. Each strip is 24"W x 3"H with a 1 1/2" rule, 3/4" midline, and 1" descender space. Each package contains 100 strips.